Ole Gunnar Solskjaer said he cannot do anything about Alexis Sanchez as he challenged the struggling Manchester United forward to rediscover his best form. 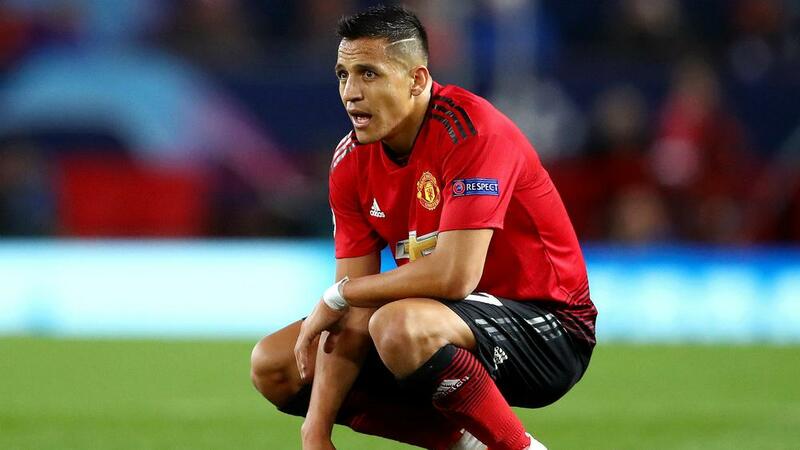 It was another poor performance from Sanchez, who came off the bench in United's 2-0 Champions League loss at home to Paris Saint-Germain in the opening leg of their last-16 tie on Tuesday. Sanchez replaced Jesse Lingard in first-half stoppage time and the Chilean was ineffective following his introduction at Old Trafford, where doubts over his future heightened post-match after United crashed to their first defeat under Solskjaer. Asked about Sanchez - who has only scored five goals since swapping Premier League rivals Arsenal for United in January 2018 - caretaker manager Solskjaer told reporters: "I can't do anything about Alexis. He needs to find himself as we know there is a quality player there." In-form duo Lingard and Anthony Martial both succumbed to injuries as United were outclassed by French champions PSG, who scored twice in seven second-half minutes through Presnel Kimpembe and Kylian Mbappe while a miserable outing for the hosts was capped by Paul Pogba's late red card. "The reality is Jesse and Anthony are part of our squad playing really well but in the second half we didn't have as much movement and couldn't get in behind," added Solskjaer, who will assess Lingard and Martial's fitness in the next couple of days. "Juan [Mata] got on the ball to create a few bits but we maybe need to find a new way to play when Anthony and Jesse are out. "At this club we bounce back. We have to bounce back, we're in a tournament and the Champions League is always going to be difficult. We have the league and the FA Cup, so many games, but I'm not afraid of the reaction in the dressing room. "We go down to Paris and we will give it a go. It's a mountain to climb but not impossible, we need to try and get to half-time with a 1-0 lead. We're ready for the next game, that's the thing for us, we're Man United and we always bounce back." Kimpembe opened the scoring from a corner but Mbappe's sensational sweeping finish from a swift counter put PSG in the box seat - the French star's pace leaving United's defenders in his wake. "The ground he made up to get in the box, for all the strikers and coaches out there, that's how you get in the box," Solskjaer said of the 20-year-old. "Don't give him that space to go into, but he's lightning quick of course. You have to get your body in the way but I was never a top defender so you need to ask them how to stop him."